If you're serious about the RV lifestyle, then you're going to love the Silverstar fifth wheels. These fifth wheel RVs feature spacious interiors while keeping weight to a minimum. Featuring a wide body construction and a 42" slider, you won't believe how open these fifth wheels feel. Designed for a life on the road, the interior also features stylish amenities including Corian® countertops, brand name appliances and fluted and crown trim. No matter where you roam, you'll always feel at home with a Silverstar fifth wheel trailer. 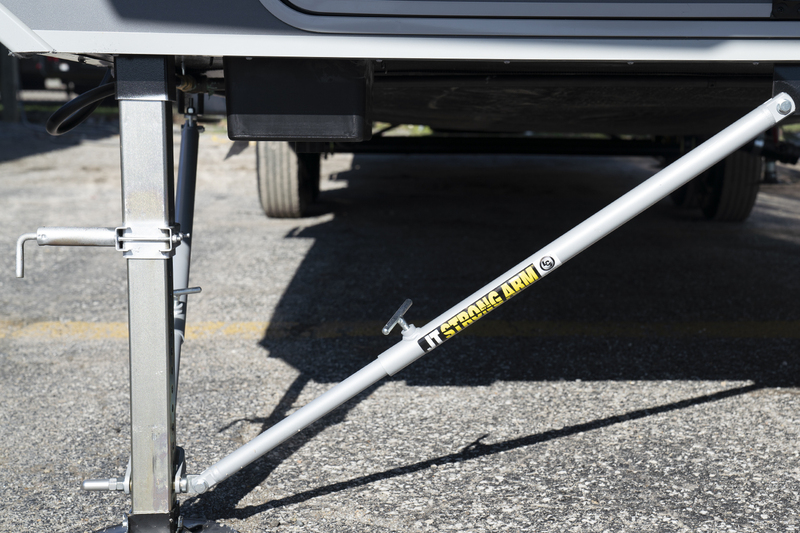 The JT Strong Arms virtually eliminate movement both front-to-back and side-to-side on the unit. These telescopic arms mount permanently on the bottom portion of each jack leg to make it easy for set-up and take down. 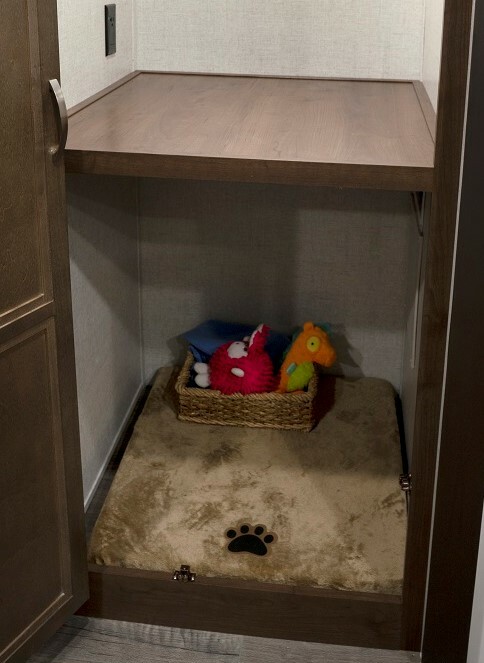 Pet Friendly - no registers in the floor, No carpet in Living and Kitchen areas. Best warranty on the market with ZERO PVC membrane failures to date. No treatments required ever! Will not chalk, streak or spot and no special cleaners needed.